Healthy Lifestyle, Quitting smoking 381 Comments on Cigarette Smoke – What was it Telling Me? 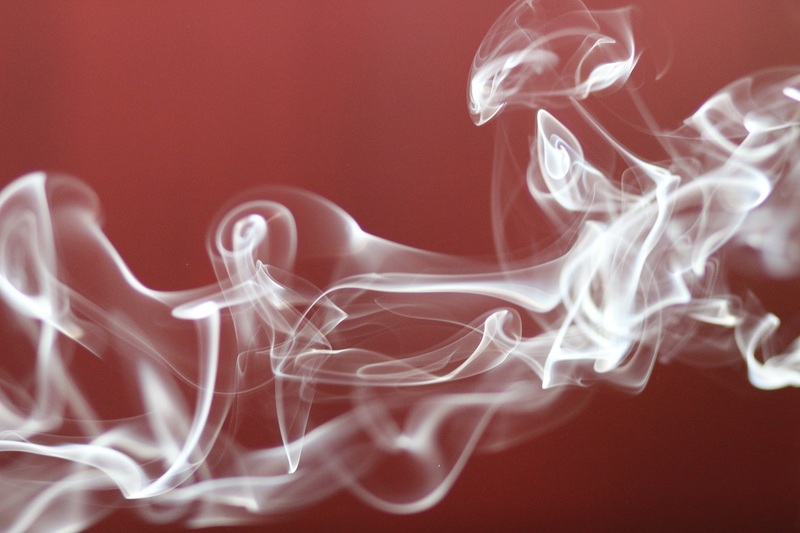 Cigarette Smoke – What was it Telling Me? It seems on looking back over my lifetime of more than 76 orbits of the sun, and through much of my developing years, everyone ‘smoked’. When one reflects on that sentence – that everybody smoked – I could allow myself to contemplate that word. One could tend to think of a physical body actually exuding an ethereal type of vapour arising from the entirety of the body, like a mist wafting from the very cells of the flesh… a bit like one sees if visiting Iceland and watching the steam visibly drifting up from the centre of the earth, seeping through the crust around one randomly, anywhere and everywhere at any one time. But no, that wasn’t the case, and as a child I wondered why it was that people chose to ‘draw in’ – to ‘do the drawback’ – filling the precious lungs with smoke and resulting in coughing, rasping and even possibly leading to the lung disease of emphysema. As a 5-year-old I felt the breath of the trees, sky and the stars inside my lungs. Even though I did not grasp this from anything I knew as ‘knowledge’ back then, I just knew without question that every particle in our body is one with all that is in the universe. Severe whooping cough was a frightening experience at that age where my little body bent over racked with the effort to breathe, all the while knowing that I had to breathe in God’s breath to live. Did any of us have any connection to our body or listen to what it was constantly communicating to us – not a ‘gut’ feeling as they say, but a whole body awareness? Being the oldest child in charge of two little brothers, we would on rare occasion visit the Saturday matinee – ‘the flicks’ – with the only advertisements I recall showing the ‘Marlboro man’ sharing his affinity with nature by riding a great steed until he finally stopped on reaching the top of the mountain; then he would light up a cigarette and breathe something foreign deeply into his lungs, supposedly to more easily enjoy all that God in nature was offering! I also often wondered some years later why on our black and white television, a romance movie in the mid 50’s always showed the couple ‘lighting up’ and having a cigarette after looking a bit hot and bothered in a bed – how unromantic, all that cigarette breath! A child may well wonder, but looks to the adults in their world for guidance – after all, the adults are supposed to know it all. I tried smoking when about 17 during a pyjama party with some bank work colleagues – how risqué! My goodness we were so adventurous and bold smoking… so rebellious! I didn’t take more than one choking puff, and exclaimed I didn’t like it. So it would seem I was always the odd one out – never quite fitting in with the crowd. How strange we human beings can be, always looking to fit in and be like everyone else, seeking outside of ourselves to be liked, acknowledged and accepted – but did I somehow know deep within that there was a different way to be? This act of smoking surrounded me during my entire life at home in a Melbourne eastern suburb; in later years when pocket money was available I even supported my father’s only vice (that he spoke of) by buying him the cigarette papers and sometimes a packet of Havelock tobacco for a birthday present so he could ‘roll his own.’ It didn’t seem to matter at the time that I also was breathing in the vapours – it was part of life even though I didn’t like the smell on either the breath or in the air. All of this experience was post 2nd World War: there was a belief pushed on the general public at that time that smoking ‘relaxed’ one. One has to ask, have we actually chosen to allow these beliefs to be taken unwittingly into our bodies and once there, these beliefs have been stagnating, revealing themselves physically in many and varied ways? After my marriage I found out that my husband was introduced to smoking at Puckapunyal Army Training Camp, where the officers handed out handfuls of cigarettes to the young and ‘wet behind the ears’ recruits that had been called up, supposedly to ‘make men out of them.’ Years later, complaints from the wives that their homes were less than fragrant next morning after gatherings… not to mention the empty beer bottles and cigarette butts over spilling the ashtrays, were rebutted with, “We demand our right to smoke!! !” from some of the men. Our children were also surrounded by this act of smoking, but fortunately a different choice was made after a short time as they showed evidence of troubled lungs from the open-cut brown coalmine area that we lived in. By now I had become acutely allergic to cigarette smoke and found it extremely challenging even going into a restaurant, where anybody at any table could ‘light-up’ before, during or after the meal. It was very hard to breathe and my face would swell, tears well up, with sneezing etc. Our adventures took us to both ends of this earth, North and South Pole. Many of us have experienced the pristine air of these areas and we stood in awe at the sight of the majestic, gigantic icy monoliths, the icebergs of Antarctica within hand’s reach almost, glistening blue from the oxygen held within. It was such a sight – passengers rugged up looking colourful in their rainbow array of padded jackets, fluffy hoods and mittens in the bitter cold of this crisp and clean air. Later we had to move from a two-story house to an apartment. We chose well, or rather it felt more like a gift from Heaven on the 22nd floor, with a view across the wide ocean and across to the hinterland up into the clear, clear air. Our furniture was in place, my massage table had found its position in one spare room and then like an all-consuming wall of unseen smell, I sensed the overwhelming presence – a pungency that was familiar, but magnified. It was wafting into my open space of what was to be my office: it was the smell of Russian cigars – oh no!! How can this be – can’t I get away from it even up here? ?… would we have to move again…? My understanding of why this smoke seemed to pursue me from one end of the earth to another was still ahead of me, waiting to unfold. It took a lifetime of looking outside of myself for the answers; not until in my sixties did I realise I had come full circle, back to the starting point from more than six decades of rotations of the earth around the sun. Then I met a very regular but extraordinary ordinary man called Serge Benhayon. My meeting this wise sage is another story in itself, but suffice to say this World Teacher of the Ageless Wisdom changed the direction of my life and where it was going – at the time further and further away from God’s love at a rate of knots – as I searched in vain for something ‘out there’ that made total sense to me. Serge Benhayon never tells anyone to ‘do’ or ‘not to do’ anything, but simply presents the possibility of another way – The Way of The Livingness. As a result of meeting this man I have been reflecting on many things in my life thus far: the hurts, the emotions, the patterns etc. and pondering on the possibility of a deeper purpose behind all of our health issues and events. The evidence of ill health in the population of the world displays that there is much for us to ‘un-learn’ or let go of, clear and heal by perhaps making the choice of a different way of living that could bring us back to who we truly are and how we could live in a joyful and harmonious body. May we also ask why has it taken so long for us to realise our bodies are always trying to communicate with us? Do so many people have to die due to lung or other diseases before we realise we have a whole body intelligence that we could choose to align with? One has to wonder what have we all been afraid of that may be revealed. Are we afraid of the Truth? As I personally grappled with the effects of passive cigarette smoke on my health in my effort to understand ‘why’, this Truth was eventually revealed to me. As I became more familiar with listening to my body, practising the Esoteric Modalities including the Gentle Breath Meditation™ as presented by Serge Benhayon at the various Universal Medicine presentations I attended, I took the time to nurture myself a little more and be more aware of the deep intelligence that comes from the whole body. This was a time of deep exploration for me, learning to discern where the impetus of the message was coming from: was it from the mind – that is, the computer of the body with the information gathered from a myriad of sources outside of myself – or was it from the intelligence of my whole body, from the cells of my being, that part of me that is at one with the entirety of the universe? Over some years of this exploration and listening to my body, I naturally let go of gluten, dairy, and alcohol in my own way, and also adopted a more supportive sleep pattern… all to great effect. However, cigarette smoke from any source was no doubt still affecting my health. One has to ask why was this so? Like a Peregrine falcon smelling prey from miles away, I could smell cigarette smoke; looking around accusingly I would try and ascertain where the culprit was lurking, casting a judgment on their chosen behaviour. How arrogant! Did I then consider the possibility that there was a reflection for me to be aware of? More and more instances occurred where it seemed others would be deliberately placed in my proximity to challenge my ability to breath. What was I to learn from this – surely my irritation had to have a deeper lesson for me to contemplate? It was during these moments of reflection that I could see the truth and the wisdom of the Laws of the Universe, including the Law of Cause and Effect, or Karma. Had I indeed participated in lives previously, in any number of incarnations, in preventing others from ‘Breathing in the Light of Christ’, the ‘Breath of God’ in a myriad of scenarios…? I can feel now the smoke from cigarettes, cigars etc. filling the lungs – limiting the possibility of one’s Divine connection with Soul, to God, to The All That Is. Is it possible that all this imposition of others’ cigarette smoke affecting my life and my health was not in fact a punishment, but an opportunity for me to experience and appreciate what it felt like to be so imposed upon, by actually inhibiting my own experience of the glory of breathing my own breath – and my awareness now that these experiences were offered, bringing the scales back into some sense of energetic order? Worthy of consideration perhaps. It seems to me now that the sacred movement within our lungs reflects the beauty and divinity of the closeness of our connection to the universe and the stars for they, the lungs in form, allow the flow – the flow of the very In-breath and the Out-breath of God. Has all of this activity of having experienced the imposition of cigarette smoke affecting my health and my life actually been my Soul offering me clarity; a deeper understanding of the separation that is created, and of what it is in truth to breathe the Light and the Love that is the Christ Energy? In these moments of revelation, I feel such appreciation for the gift of understanding of the possible truth of the situation; and I might add here that since then there have been fewer impositions from others casting their chosen habit upon my sensitivities. When it does occur, I feel it is but a reminder to treat all equally, without judgment – and to remember that we are all the Sons of God remembering who we truly are. Our mind might tell us to have a cigarette but if we asked our lungs they would say no. Who said “life is no laughing matter!! !” I’ve found life to be amazing, universally mind blowing and utterly ridiculous all in the same hour. I love to laugh until the tears roll and am totally sensitive with an enormous heart that loves to share. I have never written ‘retired’ on a form, and amongst my favourite places are where the stars are bright away from the city. I like the understandings you came to, and share, like, ‘Is it possible that all this imposition of others’ cigarette smoke affecting my life and my health was not in fact a punishment, but an opportunity for me to experience and appreciate what it felt like to be so imposed upon’. It can indeed be interesting to reflect on our responses and reactions to various aspects of life over time. For example I can see changes in my own relationship to cigarette smoke, which is now increasingly substituted by new fad of breathing in and exhaling vapor loaded by chemicals, which I imagine would be engineered to be just as addictive to ensure sales. I started off by not caring much what went on around me, then as I became more sensitive to and aware of my body and could feel the impact of even the secondary breathing when others smoked around me, I became somewhat judgmental of smokers. But a few years on, now I tend to apply more of an understanding of why any of us make such choices that are harmful, and focus more on what this behavior shows about the devastation humanity is facing which is being kept at bay by employing behaviours that numb us to our experience even if it is for a few seconds at a time. The beauty of being a student of life and the reflections offered by your Soul – which I find beautifully complemented and supported by the teachings of ageless wisdom and the living example provided by Serge Benhayon – is that you forever keep deepening and expanding your awareness. I know if I look back at this same scenario in a year or two, my outlook and understanding will be so much deeper and more expanded. Roberta what you share makes so much sense, nothing ever happens to us randomly, we either work with God or without him either way we will always get to experience the out play of such decisions. When we are truly open, the answers are there. Indeed Sarah and breathing our own breath supports us in our openness to the all.